We kicked off the week on Saturday in Trinity Hall in Rathmines, with a stand trying to recruit the eager freshers’ who had only just unpacked their bags and scarcely made themselves at home in their new abode. While no records were set regarding recruiting numbers, several very capable oarsmen as well as many with great potential were added to the DUBC roster even before Freshers’ week had even officially begun. Monday was by far our busiest day, as it always is. 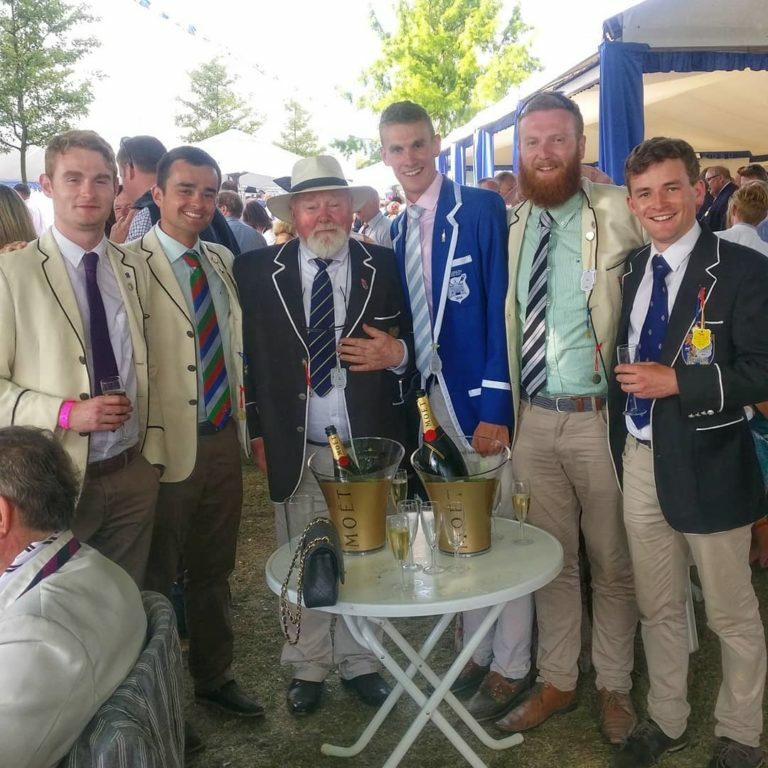 While attracting a large number of recruits to DUBC is always the aim, quantity without quality is all but useless in rowing – as in any sport – and so we set about finding those needles in the haystack that was the Freshers’ fair that had the potential to become great oarsmen. It is not always enough to simply be “head and shoulders” above everyone else, and so we also tried to seek out the former track athletes as well as the rugby players and indeed all sportspeople who came to Trinity looking to try something new. In an attempt to drum up some interest in the stand we created the “100m Challenge” on the ergo, with the “amazing” €20 prize fund for the fastest man over 100m during the course of the week. It quickly became apparent however, that the real challenge was indeed staying on the seat with many of the participants finishing the challenge having fallen off the seat using only arms and backs, sacrilege as we know in the world of rowing! The 2 joint winners of the prize Sean O’Neill and Patrick Hughes (neither quite eligible for the novice squad…) however clocked an impressive time of 15.5 seconds! The rest of the week unfortunately failed to keep pace with Monday and most of the day was spent trying to make sure the oars and banner stayed upright in the blustery conditions. We did manage to recruit many other students with great potential throughout the week, several who were reluctant to join on Monday, and many who were almost forcibly brought to the stand to part ways with the €5 joining fee. The week was a rousing success in terms of recruiting coxswains, which the club always struggles with, a dozen or so was among the week’s recruits. Friday brought a number of last minute signees, who had been humming and hawing, walking past the stand every day for the last 4 and finally took the plunge on the final day and so with all the names taken we asked each and every one of them to join us for the Boat House open day in Islandbridge the following day. Two buses brought 70 of our new recruits out to Islandbridge on Saturday morning for a tour of the Boat House. After splitting them into 4 smaller groups, including one group of coxes which was encouraging to see, we showed them four different stations: The first was in the rowing tank with our new Development coach Colm Dowling, where they learned the basics of the rowing stroke, next was in the long room on the ergos where the basics of “hands, body, slide” were taught, before heading outside to one station where the recruits got a closer look at some of the equipment we use before heading out along the towpath watching an 8 in full flight up and down the river. The open day was a chance for the novices to get a better feel for what the sport is about and also to ask the more senior members any questions they had. It was definitely a huge success and hopefully we will see all those who were there on Saturday as well as many more of those who signed up during Freshers’ Week down at training sessions in the weeks to come. All in all it was most certainly a hugely successful Freshers’ week with a large crop of excellent recruits who, with the help of our new Development Coach Colm Dowling, will be lining up along side a UCD crew in six months time with a view to winning the Dan Quinn shield for the first time in three years!